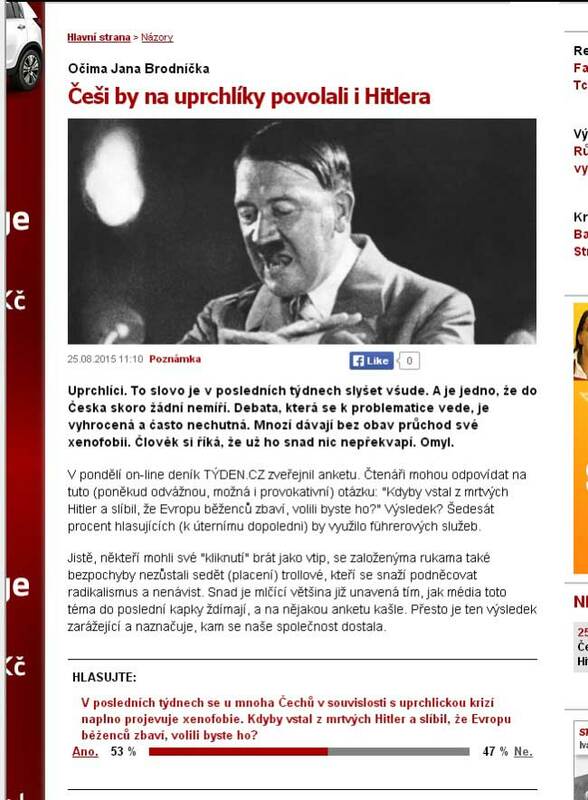 Some 53 percent of people who responded to an unscientific online poll by Czech magazine Týden would currently vote for a resurrected Adolf Hitler if he promised to rid Europe of refugees. According to the original article, the result had been as high as 60 percent in favor of the Nazi leader. German dictator Hitler before and during World War II oversaw policies that would today be called ethnic cleansing. More than 6 million Jews were murdered in a network of concentration camps. Other groups including Roma, LGBT members, communists and others deemed “non-Aryan” were also killed in large numbers. The article with the poll results was published on the magazine’s website Tuesday, Aug. 25, and removed sometime before of during the early hours of the next day. An apology distancing the magazine from the poll was published in the same space Aug. 27. 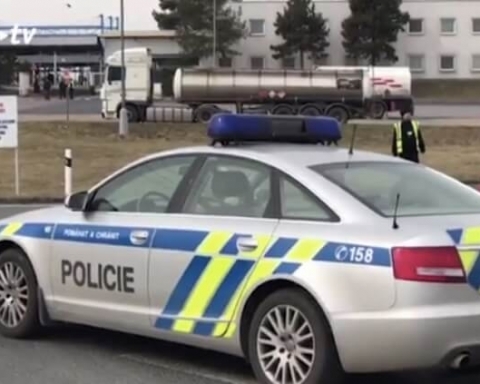 “Due to the fact that a text that was the target of racist remarks and manifestations of xenophobia was originally published here, the editors of online daily Tyden.cz have decided to remove the text. The editors hereby apologize to all decent readers, but manifestations of racism and xenophobia will not be tolerated,” the apology stated. The number of people voting in the unscientific poll was not disclosed, and there was no breakdown of age, gender, economic status or place of origin of those voting. 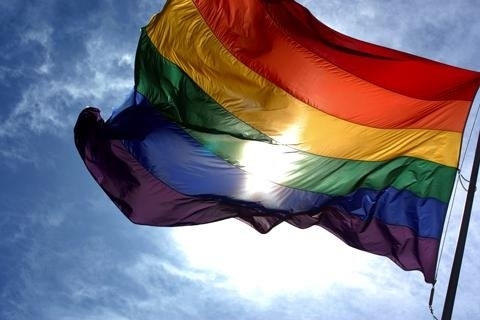 The poll simply asked people to vote yes of no without disclosing any further information. Yes-or-no reader polls are a standard item on Tyden.cz, but usually they are not so controversial. The magazine pointed out in the original article that the results could have been heavily influenced by Internet trolls, or people who hide behind the anonymity of the web to provoke arguments and discord. The site also said that the “silent majority” might have grown tired of the way the media exploits the topic, and thus ignored the poll. Even though the original article has been removed from the website, it could still be found by using the archive feature of many search engines, which takes snapshots of web pages and stores them. The refugee topic has become an issue in Europe this summer, with people displaced by conflict in Syria and Afghanistan and people fleeing harsh conditions in several African countries attempting to reach Europe by land and sea. 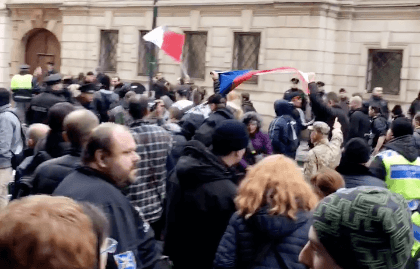 Anti-immigrant rallies have been taking place across the Czech Republic recently with several fringe political parties pandering to populist rhetoric. One rally in Prague even featured a gallows to hang “traitors” who supported allowing refugees into the country. 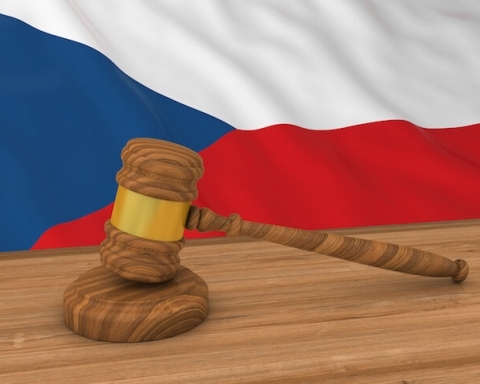 Czech politicians have also been divided over the topic, and the current Social Democrat–led government of Prime Minister Bohuslav Sobotka has opposed an EU-proposed quota system for accepting refugees, and his government has set levels lower than those proposed by the EU. The country has also been criticized for its treatment of refugees and for keeping children confined to refugee centers. 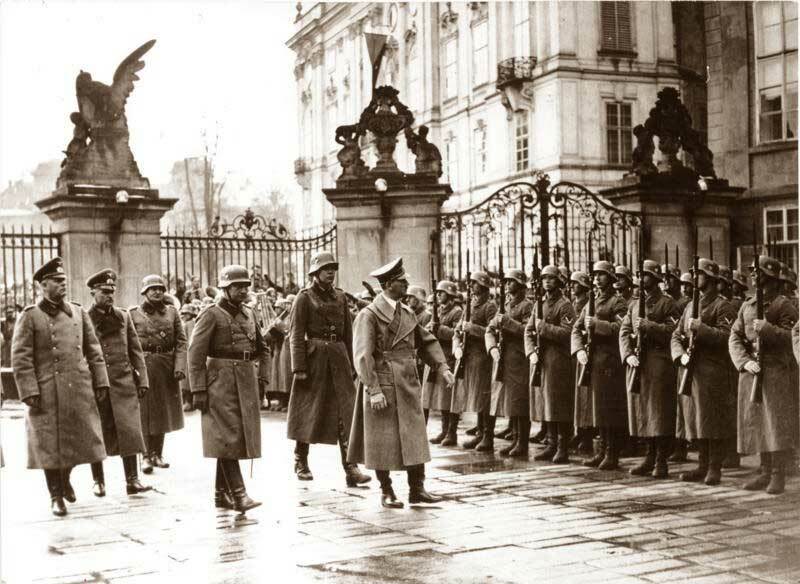 During World War II, the area of Czech Republic was occupied by Nazi Germany, and was called the Protectorate of Bohemia and Moravia. Hitler visited Prague in 1939. During the occupation, the entire village of Lidice was liquidated, with all of the men being killed and women sent to concentration camps, among other among other atrocities. Hitler’s long-term plans for the territory included its “Germanization,” with a German population being relocated to major Bohemian cities and non-Germans being removed except for essential industrial workers and farmers.